Rubber Activator measures 7 cm wide x 3 cm high, and is tapered so the bottom is wider for stability. Activating tuning fork on body is not recommended. 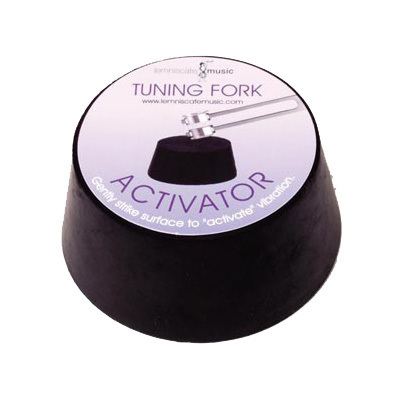 Use activator as a surface to gently strike the weighted end of tuning fork to "activate" vibration.